This was our factory when we opened in 1996, we had two little production rooms, one for making our delicious chocolate and the other for packaging. ­ This was a big move from the kitchen table to our first ‘proper’ factory. We started with a staff of 4, one chocolate wheel machine and a passion for chocolate making that is still evident today. 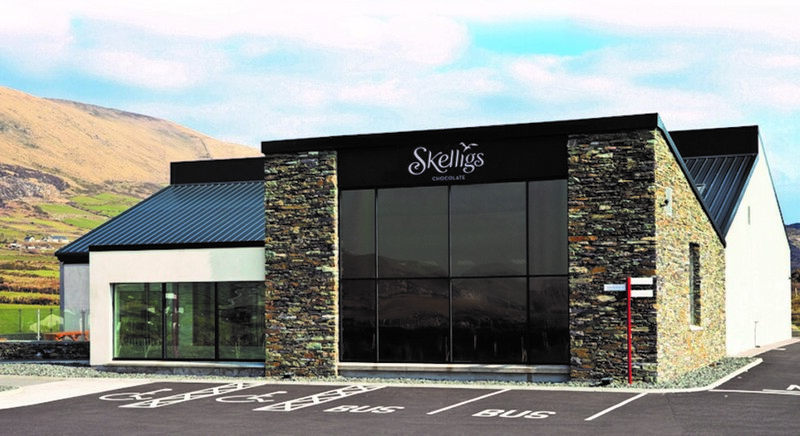 It was a long tough year of planning permissions, builders and plenty of hard work but we returned here to the ‘home’ of Skelligs Chocolate within a week of the 1st year’s anniversary of the fire. 2012 saw the opening our of new state of the art production facility. So, welcome to Skelligs Chocolate, a rare gem in probably one of the most unusual and beautiful locations for a chocolate factory. 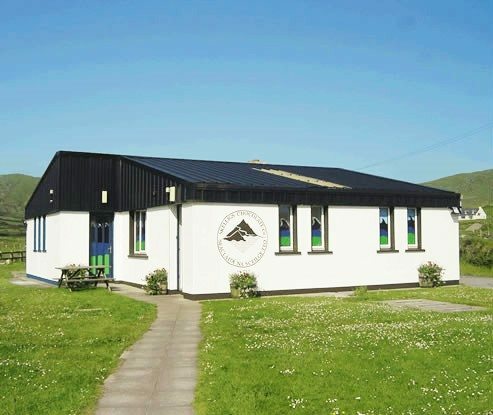 The initial premises were approximately 1,200 sq feet. The new one is 6,500 sq feet. We get tourists from Ireland, the UK, Mainland Europe, the U.S. & Canada and to a lesser extent South African, Australian etc. We were nominated by Failte Ireland as one of ’50 secret destinations of the Wild Atlantic Way’. We are in the heart of the kerry dark skies, the only Gold tier location in the northern hemisphere. Here at Skelligs Chocolate we have a philosophy of keeping it simple and making sure everyone has the best possible chocolate experience possible both here in the factory and through our retail partners. We are an actual working chocolate factory with the only ‘open plan’ chocolate production facility in Ireland and we welcome visitors from February through to December. We take a little rest in January.